Did you ever get a lollipop for going to the doctor’s office? Or maybe a treat from mum or dad if you did well at school? From a young age, we know that when we do something good we’re likely to get rewarded for it. As kids, we learnt the power of recognition when we were awarded for our good behaviour. What gets recognised gets repeated. It’s no different in the workplace. Every time we positively recognise certain behaviours, we reinforce the idea that those behaviours are desirable. In other words, when employees are recognised for the hard work they do, for trying something new or for pushing the boundaries so they can smash a target, they're more likely to repeat that. So, let’s say you’re at the beginning stage of introducing employee recognition to your organisation. You understand you need to implement a reward and recognition strategy, but where do you begin? Now we can skip straight to the suggested spend on an employee recognition programme (we promise, we’ll get there) but before you determine your budget, there are some things you need to consider before you do. The building blocks for a great recognition me focus on accessibility, integration, relevancy, spotlighting and celebrating. Initially, it’s important that you think about what recognition looks like at your organisation. Consider your industry, your company values, your people, and, of course what your company culture looks like. Think about what you want to accomplish with your new reward and recognition programme. We like to envision a “thank you culture” where everyone can initiate a recognition moment freely and provide transparent praise or feedback. Remember, it’s your recognition programme, so it should be specific to your values and workforce. Throughout your decision-making process, the number one question you’re probably asking yourself is “how much is this going to cost me?” But I suggest reframing that and asking yourself (and the business), “What impact will it have on our organisation, and how much is that worth?” Putting the “why” before “how much” will help you build your business case later. There are other foundational questions you should ask yourself, too. These questions will help guide you on your own recognition journey to know where to start. 1. What does good look like to you? In other words, what are you actually rewarding employees for? Which behaviours call for recognition? 2. What does your culture feel like? Think about your organisation’s culture. What are your values? What resonates with people? 3. How will it make your employees feel? Could your employees be more engaged? Figure out what motivates your employees in order to align your values to your employees’ needs. 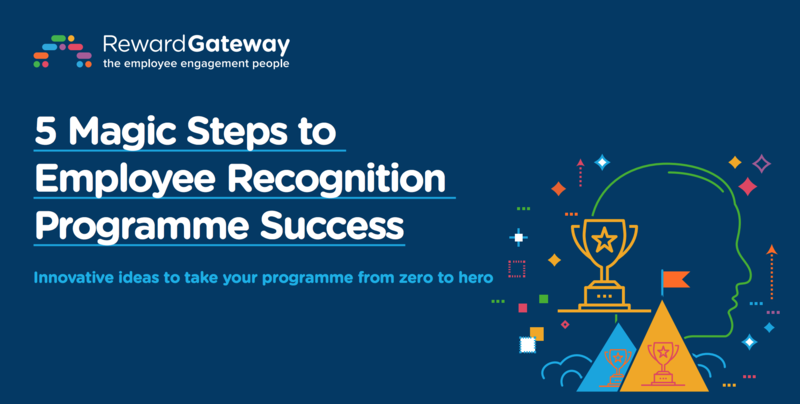 Once you’ve decided an employee recognition programme is right for your organisation, the next step is to present a case to the decision makers at the company. That’s when it’s important to attach a number to your recognition programme. There are multiple factors to consider when it comes to the cost of employee recognition initiatives, but depending on your budget, there are a variety of products to meet your needs. This might look like a lot on paper, but it’s important to remember what returns you’ll get from putting in the resources and planning to get your recognition strategy right. When done well, values-based recognition ultimately leads to increased productivity and collaboration, which means, recognition enables your people to not only meet but exceed your overall business objectives. Depending on your answers to the questions we started out with, the types of recognition you choose will depend on your organisation’s needs and values. 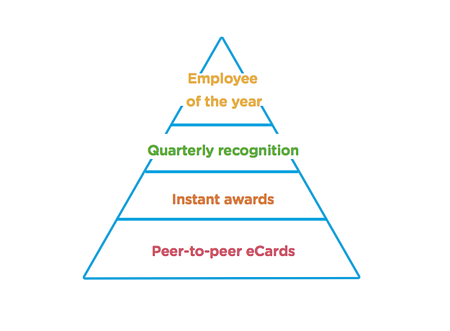 That being said, take a look at the pyramid below as an example of what awards could look like based on different types of recognition and reward you can provide to employees, depending on the occasion or the impact of their work. Of course you can chop and change how you spend your recognition budget to suit your organisation. The important thing is to ensure there is a way for all employees to access the programme and use it to spotlight and celebrate achievements, regardless of the time or which team they’re in. The more you build your framework around these ideas, the more integrated and relevant recognition will be through the whole organisation. No recognition budget? No problem. Not everyone will have a specific budget to put towards recognition. That doesn’t mean implementing any kind of recognition programme at your organisation is out of reach. In fact, there are plenty of free employee recognition ideas you can easily put into action. 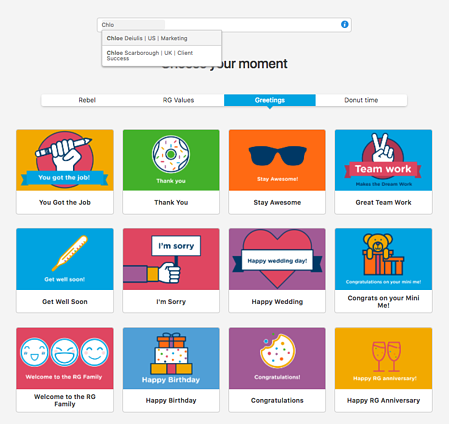 Here at Reward Gateway, one way we use free recognition is with eCards, which we’ve named “High Fives.” These High Fives are personalised, inclusive and purposeful. What’s more, they live on what we call the “WOW wall,” where all Reward Gateway employees are able to see, like, and comment on their own or others’ eCards through social recognition. Hopefully these tips have given you a starting point when you’re trying to figure out how recognition fits in at your organisation. Start by figuring out what works best for your business needs, then build out a framework and determine your budget with stakeholders. Remember, recognition makes employees happier, which in turn makes customers happier. Organisations can increase employee engagement and employee retention by implementing a successful employee recognition programme.